There's no such thing as certainty. Now get over it. Time and again over the past few years, business and financial elites have decried the lack of certainty. Fortune 500 companies have routinely cited “uncertainty” emanating from Washington as a reason to delay hiring or hold off on investing. That was the primary conclusion of a University Colorado study this spring, whose authors concluded, “If policymakers would like companies to increase their hiring and investments, they should focus on policies that decrease business uncertainty.” That was particularly true at the end of 2012 as tax policy and the sequester were clouded in political controversy. The hallmark of Ben Bernanke’s years at the helm of the Federal Reserve has been an unprecedented degree of transparency and communication about the thinking and deliberations of the bank. The Federal Reserve was created exactly a century ago, and for most of the past hundred years, even its decisions were opaque. There was no announcement of interest rate changes, and certainly no 24-hour news cycle and media ready to digest and report the minutia. 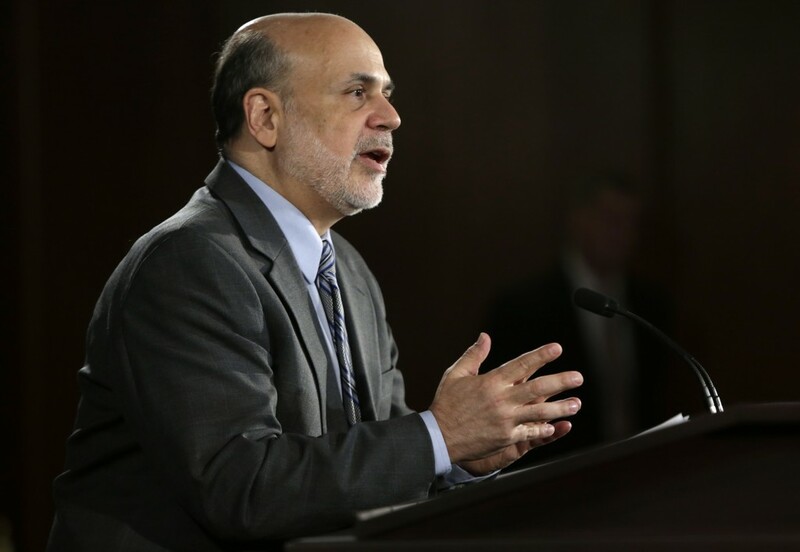 Under Bernanke, the cobwebs of mystery were cleared away. The various Fed governors have begun to speak more frequently and have been free to express contrasting views. Bernanke has regularly communicated the Fed’s outlook, expectations and analysis, and reminded all who care to listen that all future policy will be subject to the ever-morphing statistical landscape and to new data. But while that policy was intended to lift the oracular veil, the desire for certainty has trumped it. Judging by the aggrieved reactions to the Fed’s taper change of heart, market players have increasingly taken Bernanke’s transparency and turned it into a road map for the future. The policy of openness was in part intended to lessen market volatility and to remove the risk that markets would overreact when policy changes were announced. Instead, it has lulled a lazy investment community into a new form of dependency. That isn’t an indictment of the transparency. It is, rather, a reminder that too many business and financial leaders seek certainty where none exists. The Fed or any institution should be able to change its mind when circumstances change. A stated policy one month may make little sense a year later if the world has shifted sufficiently. Nimbleness and an ability to adapt to change are hallmarks of resilient institutions and societies. Cleaving to false certainty and demanding that the illusion of it be maintained is very much the modus operandi of dysfunction and decline. The Fed may have made the wrong decision this week, if by wrong we mean a decision that will subsequently be proven to have created more problems than it solved. But the process was not wrong. The process was a serious deliberation about current circumstances, and an assessment that with the political class in Washington possibly headed for another self-created abyss, now is not the time to put any strain at all on the financial system. That may be the wrong calculus, but it is one born out of analysis of a constantly changing, fluid system. The point of greater transparency is not to provide people with false certainty about future tactics and policy. We should accept as a given at all times that nothing is certain and that any set of policies should be subject to evaluation and revision based on changed circumstances. History is littered with examples of societies running aground because they would not and could not adapt — late 19th century imperial China, the Aztecs, the “lords of finance” in the 1920s. Vibrant, innovative, adaptable systems tend to generate better outcomes. We need to remember and accept, therefore, that there is no certainty, and that using uncertainty as an excuse for inaction is a cop-out. Businesses have not hired en masse because they haven’t needed to, not because Washington has created a haze of uncertainty. If businesses needed more people in order to make more money, they would hire. In truth, they tend to need more efficiency and more technology, so they spend money on technology instead of expanding the workforce — and use government dysfunction as a convenient scapegoat. For its part, the financial world craves certainty because so many assumptions by those who “do this for a living” have proven wrong over the past decade. The Fed is one voice among many, and one input. Investors should not need the central bank to tell them what interest rates will do. After all, the Fed only sets the short-term rates for the United States. That’s important, but it is still only one variable. If you want to know what interest rates will be in a year, you have to do your own thinking, and your own analysis. You can’t rely on what the Fed says, because what the Fed says is only one analysis and one input. And it is far from infallible. No one knows the future. And in the face of that inherent uncertainty, it’s up to each of us to analyze what we can and chart out likely scenarios. There is no certainty, and the sooner we embrace that fact, the better.